Alta Vista is a luxury gated Silver Lake Community of seven exclusive homesites in Upper Deer Valley. 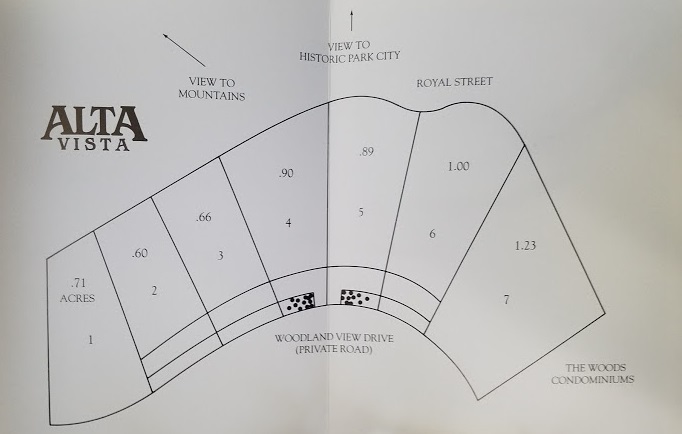 Alta Vista offers breathtaking views of old town Park City and the mountains to the west. The area is forested with fir trees and aspens with deer and porcupines also making the area home. There is ski access in the neighboring subdivision and it is within close proximity of Stein Eriksen Residences and the Silver Lake Lodge. Alta Vista offers legacy properties that do not come up for sale very often. If you do not see any properties below it is possible there are no properties for sale in Alta Vista at this time. If you are considering Alta Vista you might also consider The Bald Eagle Club, American Flag, or other single family homes in Upper Deer Valley. Listing information last updated on April 18th, 2019 at 8:13pm MDT.